The veteran German diplomat speaks about the challenge of uniting Libya and ending a civil war. Martin Kobler Credit: Ahmed Hatem/AP/Press Association. All rights reserved.Martin Kobler has had some tough jobs. In his long career as a diplomat, he has served his home country of Germany and the UN in war-torn nations including Iraq, Afghanistan, Egypt, and the Democratic Republic of Congo. Now, at the age of 63, he is in his sixth month as the UN envoy to Libya, where he is overseeing a process aimed at ending a civil war that began after the 2011 NATO-backed revolution that removed Muammar Gaddafi. But despite the challenge he faces, Kobler told Middle East Eye (MEE) in an exclusive interview that while certain aspects of Libya’s situation are “special,” he is equipped for one of the most difficult diplomatic postings in the world. "It’s a failing state and one should bring the state back to unity," he said via telephone from his base in Tunisia. Kobler is a lawyer who speaks five languages – a skilled communicator with a clear sense of what he wants to achieve in Libya. His job has not been made any easier by the way in which it began. Kobler replaced Bernardino Leon, a former Spanish foreign minister, as envoy in November. Leon was revealed by MEE to be leaving as envoy to take up a lucrative job in the UAE, which has backed one side in the Libyan civil war. An email published by MEE showed that Leon had been working very closely with the UAE throughout his tenure as UN envoy. Kobler did not criticise Leon when asked about the scandal. “Leon is Leon and Kobler is Kobler,” he said, adding that Leon did a “great job” of putting together a political agreement that has laid the groundwork for a new unity government in Libya. 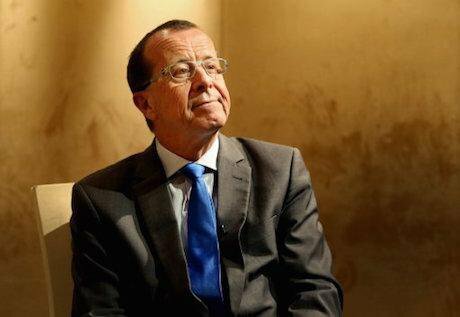 Kobler’s key political goal is to get the Government of National Accord (GNA) working from its proposed base in the capital Tripoli. But it is no easy task. The unity government was agreed as part of the Libyan Political Agreement in December, which was a product of the Libyan Political Dialogue, where representatives from a broad spectrum of society came together to negotiate a route out of the current political crisis. For nearly two years, Libya has had rival governments – the internationally-recognised Tobruk government, the House of Representatives (HOR), and the other in Tripoli, the General National Congress (GNC). Both have had their military backers. Tobruk is supported by the Libyan National Army (LNA) headed by the veteran military commander Khalifa Haftar. Meanwhile, the GNC has been allied with the now fractured militia alliance of Libya Dawn. But Kobler does not characterise the crisis in terms of rival governments and instead criticises both administrations for failing the Libyan people. “The country has no government at all because neither Tripoli nor Tobruk has done anything every government everywhere else in the world is doing,” he said. More than 40 percent of Libyans need humanitarian assistance and more than 60 percent of the country’s hospitals are inaccessible, according to Kobler. He said that the situation was so bad that “some old people had to take out the gold from their teeth to change it into money”. “This is a shame for a country that is potentially rich,” he said. Libya has Africa’s largest oil and gas reserves, which provides 99 percent of government income. Before 2011, Libya was producing 1.6 million barrels of oil a day. That number is now just 360,000 barrels, a fall that has led the International Crisis Group to declare Libya on the brink of “economic collapse”. This landscape of chaos has allowed a new problem to emerge: the Islamic State (IS). Militants who have associated themselves with IS have seized control of Sirte, the birthplace of Gaddafi, and other areas of the country. Despite local forces in the unruly eastern town of Derna recently defeating a strong IS presence, there are estimates that there are up to 6,000 of the group’s militants operating across Libya. Given the country’s proximity to Europe - the Italian island of Lampedusa is 300km away - the threat of IS is one that has become a priority for Europe. MEE revealed in March that the British SAS were operating with Jordanian forces in covert military operations against IS in Libya. And a flurry of recent visits to Tripoli by European foreign ministers has built on rumours that an international force of thousands of troops is being readied to tackle IS. On Sunday, the British Foreign Secretary Philip Hammond refused to rule out sending ground troops to Libya, but he said any such decision would be subject to a parliamentary vote. Kobler told MEE it was crucial to understand terminology when discussing the issue of potential foreign military activity in Libya. “We have to be very clear with the words,” he said. “Intervention against the will of a state is often incorrectly mixed with military assistance. Kobler said he did not “see an appetite in the international community to send ground troops”, adding that the issue of foreign military presence in Libya was not the country’s most pressing concern. “The fight against Daesh is something that has to be dealt with on a priority basis,” he said, using an alternative name for IS. “The security in Libya has to be restored – a united Libyan army has to be formed because the main fight against Daesh is for the Libyans themselves. “Libyans have to come to grips with forming a united army – we are willing to assist them – and then to go against Daesh. The first step of forming a united Libyan army is not one that will be easy to secure. One of the country’s major issues has been the huge amount of weapons spread among various formal and informal armed groups that have effectively shattered centralised authority in Libya. And the issue of how Libya’s army will be formed and managed has proved a consistent stumbling block for the GNA to be established and begin their work as a new unity government. In February, the Presidential Council, a nine-member body formed out of the December agreement and chaired by prime minister designate Fayez al-Sarraj, nominated a cabinet of ministers for the GNA, but this must be approved by the House of Representatives as stipulated by the agreement. HOR members, who were elected in June 2014, have failed on three occasions to approve the GNA. Kobler said that this failure has been the result of “intimidation” by HOR members who oppose the unity government. “We have a situation where a minority of seven, eight, nine, ten people are closing the doors, being verbally abusive, so as to intimidate the majority of HOR members who support the GNA,” he said. Kobler said he welcomed a letter, published on 21 April, declaring support for the GNA and signed by 102 of the 200 HOR members - a move which was praised by a group of European foreign ministers. “These 102 resorted to this declaration because they couldn’t get into the premises [in Tobruk] and I welcome that they did it,” he said, adding that he also supports a proposed plan to hold the HOR vote at an alternative location to its base in Tobruk. When asked if moving the vote from Tobruk could prompt a boycott by eastern-based HOR members, Kobler said he would “defer to the decisions of Libyans and moderate the process by convening the Libyan Political Dialogue”. The reluctance behind some in the east to approve the GNC is Article 8 of the LPA, which stipulates that “all powers of the senior military, civil and security posts... shall be transferred to the Presidency Council”. This has been interpreted by some as endangering the position of Haftar, who reportedly opposes the idea of his power being reduced or overseen by a defence minister. Kobler would not specifically discuss Haftar, but stressed that in a united Libyan army “everybody and every institution must have a place”. “There is the Libyan National Army of General Haftar, but this does not cover the whole country,” he said. “One needs to find a process where everybody – east and west – feels reflected in a joined army structure. It remains to be seen whether the HOR will officially decide on approving the GNA in the near future, however, amid the clamour for the unity government to be approved Kobler has faced some criticism for rushing a process viewed as being driven by European, not Libyan interests. Kobler’s home country Germany is particularly concerned about the prospect of Libya increasingly becoming a route for migrants and refugees seeking to reach Europe, which is experiencing its worst refugee crisis since World War Two. German intelligence has estimated that there are one million refugees waiting in North African countries to make the trip to Europe, which is an issue that is reported to have caused alarm to Chancellor Angela Merkel. The European Council on Foreign Relations has described the refugee crisis as a “live-or-die” issue for Merkel, who has come under domestic pressure to reduce an influx of refugees that saw more than one million accepted into Germany in 2015. All of this has contributed to an impression in Libya that the UN’s political mediation is being hurried by Europe’s need to decrease the number of people arriving on their shores. However, Kobler rejected this argument, and said that the priorities of Libya, the region, and the international community “run in parallel” with each other. He said on recent visits to Tripoli, including the iconic Martyrs’ Square, he did not meet “one citizen who said no to the Presidency Council or the [GNA] government”. Kobler added that there has been pressure from neighbouring countries who are concerned at “terrorism spilling over into their borders,” including Tunisia and Egypt, which have both experienced numerous attacks that have been blamed on militants with connections to Libya. “I have attended two ministerial conferences in the last week, starting in Tunis with neighbouring states and the other in Sharm el-Sheikh [in Egypt] with Saharan countries,” he said. “The neighbouring states made it very clear that the threat of Daesh is something that has spilt over into their borders. “This is the pressure coming from the neighbouring states. And then, of course, there are the interests of Europe. “As well as terrorism migration is a problem. We have more people than ever going to Lampedusa and hundreds have drowned in miserable circumstances. Last week, an estimated 500 people reportedly drowned in makeshift boats as they attempted to make the perilous journey from Libya to Italy across the Mediterranean. Prior to this latest tragedy the Italian coastguard said on 13 April that over two days it had rescued more than 4,000 people who had attempted the same journey, as the number of people wanting to start new lives in Europe shows no sign of decreasing. Kobler insisted that the only solution to both the IS threat and out of control migration is a unified and working Libyan unity government, but not only has the HOR failed to vote for the GNA, parallel institutions in the east have also threatened to push ahead with working independently from the rest of the country. The eastern-based government on Friday tried to export 650,000 barrels of oil through its own National Oil Company (NOC), which is not recognised by the international community. The Tripoli-based NOC, which is recognised to sell Libya’s oil, said workers at the Marsa el-Hariga terminal in Tobruk refused to load the oil, and managed to resolve the issue peacefully. Kobler said he did not expect the eastern-based NOC to export oil because “importers cannot afford to take illegal oil”. He added, without naming names, that crises such as attempts to export oil by the east are borne out of “politicians who put their personal interest above the national interest". Kobler ended by issuing an impassioned plea to everybody who is “politically responsible” in Libya to set aside their differences and work together for the good of the country by getting the GNA approved and working. “I appeal to everybody to join forces in order to have the Government of National Accord and for it to start working,” he said. “We should leave the stage of being on paper. This interview was first published on Middle East Eye on 25 April 2016.